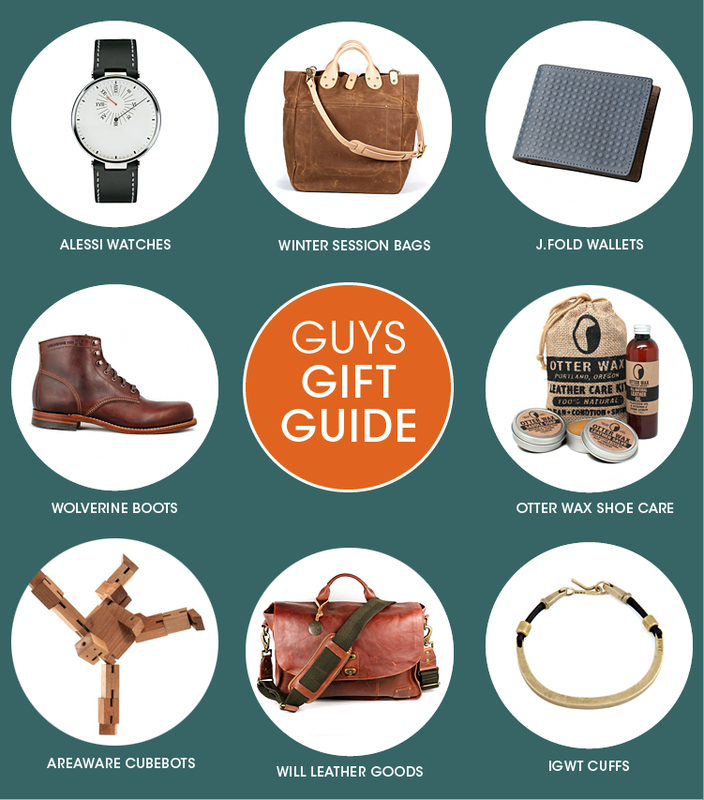 Because sometimes it’s harder to come up with gifts for the gentlemen in your life, we have come up with a holiday gift guide just for the dudes. > When looking at your phone to get the time is not quite good enough, may we suggest a stylish modern time piece from Alessi? Their watches are well designed and make a smart looking accessory. > Speaking of smart, how about a smart looking tote to haul all of his stuff? Winter Session totes are produced and made here in the USA, Denver to be exact. 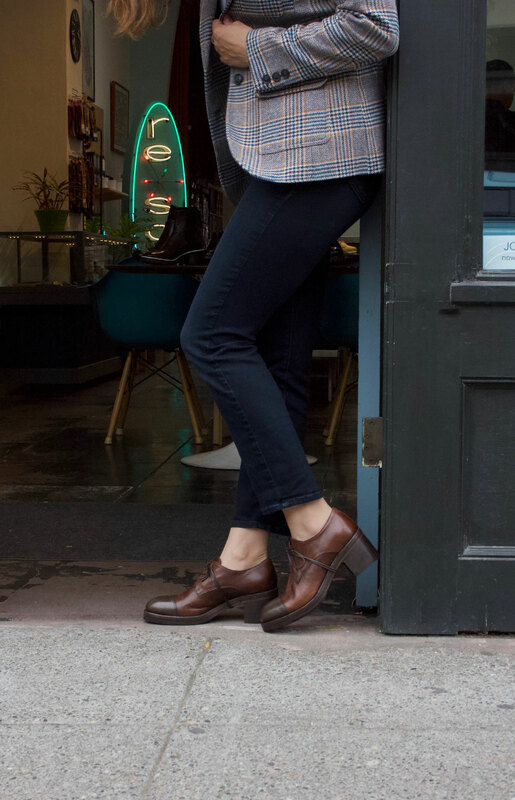 Their mission is to “design and produce thoughtful, well-made things in a responsible manner.” You can’t argue with that philosophy. > Have a mountain man in your life? Okay, maybe he just likes to act like one? Wolverine boots are good looking and can withstand a 1000 miles. For reals, it says so right on the boots. > Here is a great stocking stuffer! A shoe care kit by Otterwax will keep his shoe collection looking like new. No more excuses! > Did he play with a Rubix as a kid? The Cubebot from Areaware will keep him entertained at his desk for at least an hour. Time him as he tries to get the robot back into a cube. You may giggle at his expense, just a little. > A busy business man needs a handsome bag to tote his laptop and files in style. We love this bag from Will Leather Goods. It’s made to take a beating and will only get better with age. We hope your holiday season is going well, stay warm everybody!